Looking to mix things up a bit? These Healthy Plum Breakfast Bars are obviously perfect for breakfast, but they would also make a wonderful mid-morning snack or an after-school snack for the kids. And unlike most crumble-like desserts, this one’s full of nuts, oatmeal, and no added sugar! Want to hear something weird? I don’t think I had ever tasted a plum before in my life until earlier this week. That’s right. 31 years, and I’ve never tried a plum. Now, I did not live a deprived childhood. In fact, I remember my mom eating plums, and for some reason, I just had no desire to partake. Fruit’s not my thing. I mean, I eat fruit, but the majority of my fruit gets blended up with my Blendtec into a delicious smoothie. Turns out though, I’m kind of being forced into the whole fruit thing whether I like it or not. A couple weeks ago, we finally took and plunge and signed up for our neighborhood produce co-op. I am making it more of a goal to partake in more fruits and veggies and to base meals of the foods we are given. They’re mostly local, and they’re organic. At only $17 a week for a TON of produce, I can’t complain. Oh, except for the fact that our first two baskets contained much more fruit than veggies. And one of the fruits we ended up with this week? Plums. About 10 of them! I had no clue what I was going to do with them, and I knew Wifey would only eat a couple of them, along with the apples, oranges, kiwis, and pears we received. I knew there was only one thing I could do with them that would get me excited. Turn them into something crumbly and snacky. Oh, and do it without ALL.THE.CARBS. I am absolutely in love with these bars. Instead of a buttery, flour- and sugar- filled crust, I created this with a crust of nuts, oats, almond-flour, coconut oil, and honey. Talk about healthy! 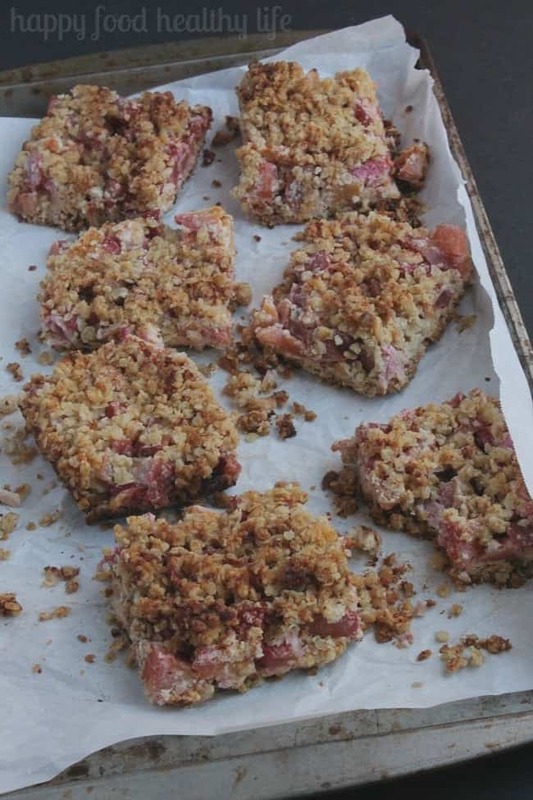 And the tartness of the plums combined with the crumbly topping. It’s really just delicious. Totally has me re-thinking this whole fruit thing. If this is how fruit is going to taste from now on, I’m on board! 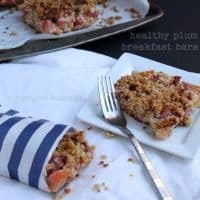 These breakfast bars don’t have to just be for breakfast. Make them for after-school snacks! 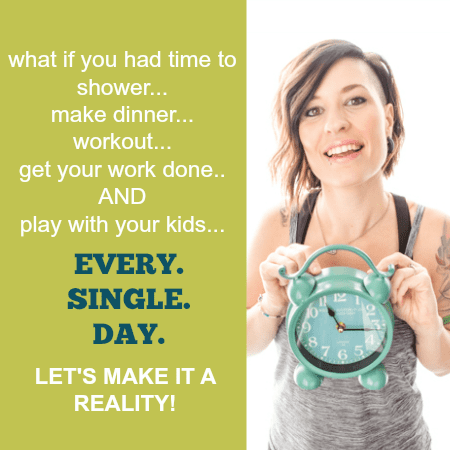 Your kids will thank you! Chop the cashews and almonds quite fine in a food processor. Mix with 1 cup almond flour, oatmeal, baking powder, and salt. Stir well, then pour in 3/4 cup coconut oil over it and add 2 Tablespoons honey. Mix this with clean hands so it stays crumbly. If it's too dry, add a little more coconut oil. In 9x13 baking pan, greased with a thin layer of coconut oil, spread 3/4 of your crumble evenly over the bottom and press down firmly. Put the pan in the oven and bake for about 10-12 minutes, or until the top begins to brown. In the meantime cut the plums cut into pieces. Put the plums in a bowl and mix with 2 Tablespoons honey, 2 Tablespoons almond flour, 2 Tablespoons coconut oil, and cinnamon. 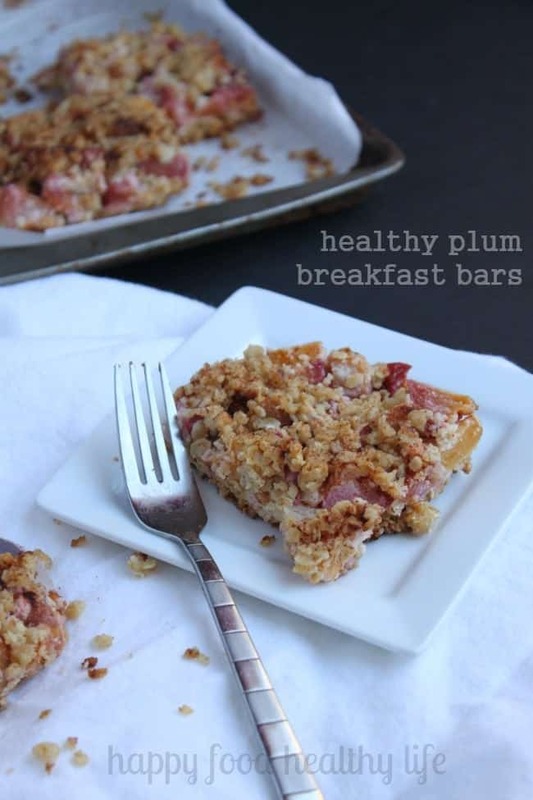 Remove the baking pan from the oven once browned and spread the plum mixture evenly over the bottom. Sprinkle the crumble that you have left over the top of the plums. Put the pan back in the oven and bake for 35-40 minutes until the top is nicely browned. If the top starts to brown too soon, you can cover the pan with aluminum foil. Then remove from the oven and let cool completely. Then place pan in the refrigerator for a few hours to set completely before cutting into bars. Using a sharp knife, divide into 16 bars and store in an airtight container in the refrigerator. Or freeze half for later. What about you? Are you more of a fruit or a veggie person?